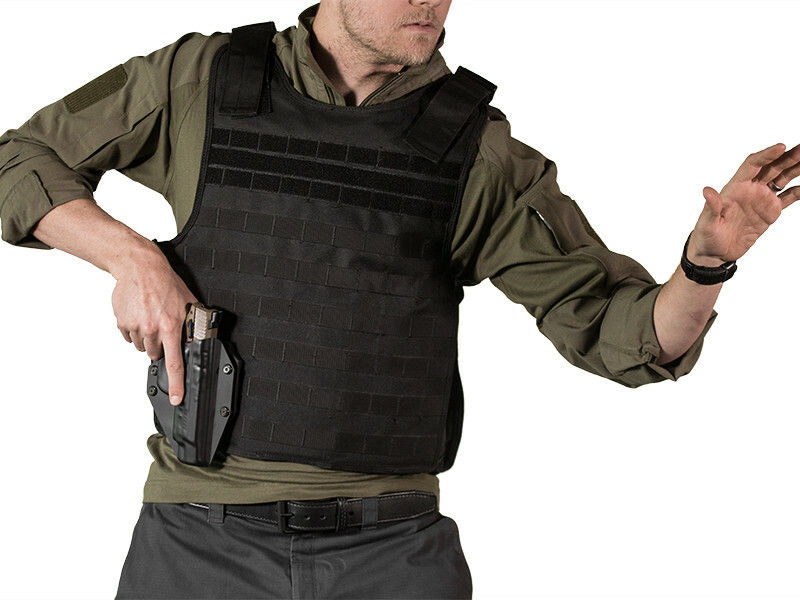 The new Cloak Mod MOLLE Holster from Alien Gear Holsters is the perfect addition to your tactical gear. 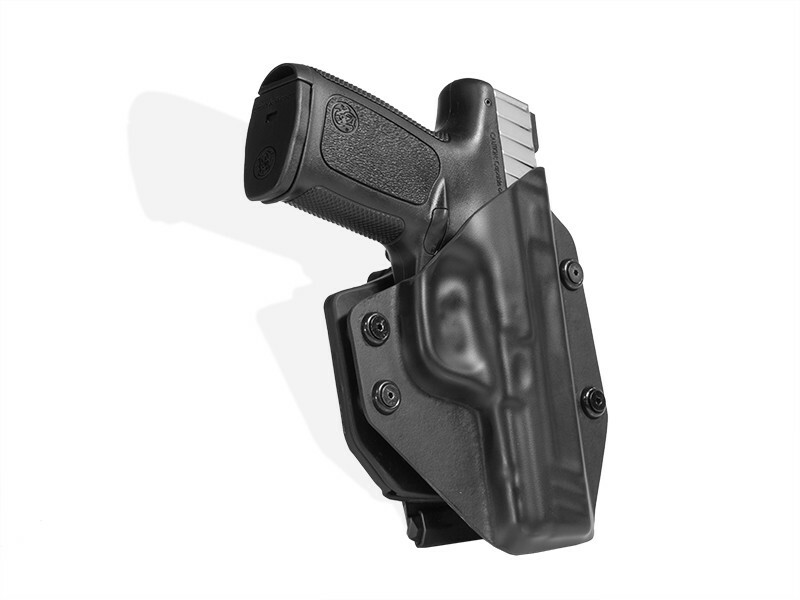 The Cloak Mod MOLLE Holster is available in over 500 guns and has customization options for every preference. It can be attached to a huge range of MOLLE compatible gear, such as belts, vests, backpacks, range bags, clothing and more. 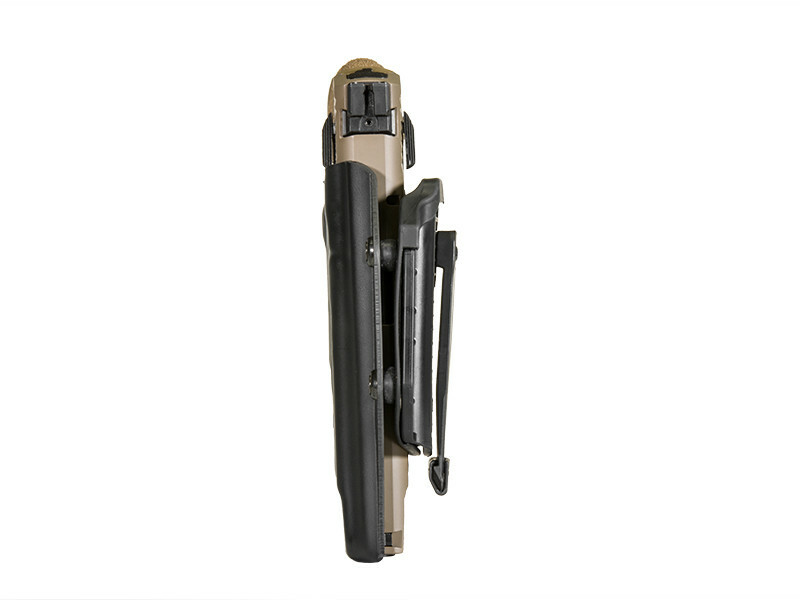 The double pronged MOLLE attachment provides the most stability to your firearm when attached to any PALS webbing, making drawing and holstering quick and without falter. 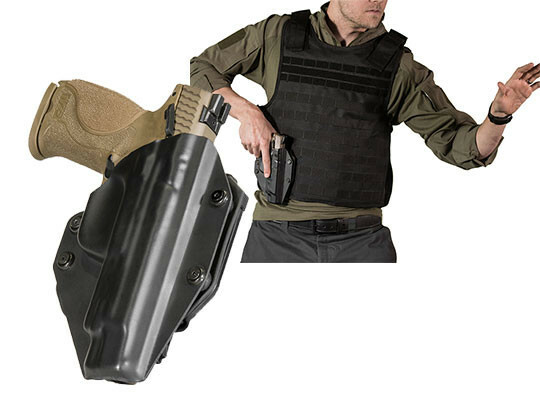 In order to connect to a wide variety of standard and non-standard PALS webbing, regular and extended MOLLE Locks are included with this MOLLE Holster. 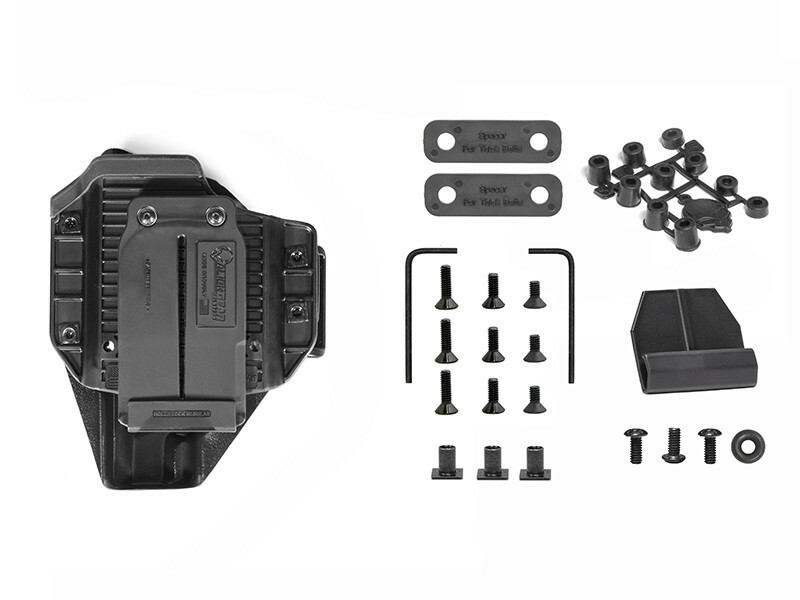 These locks slide onto the bottom of the MOLLE prongs of the holster, allowing carriers to secure their MOLLE Holster to two or three columns of PALS webbing. 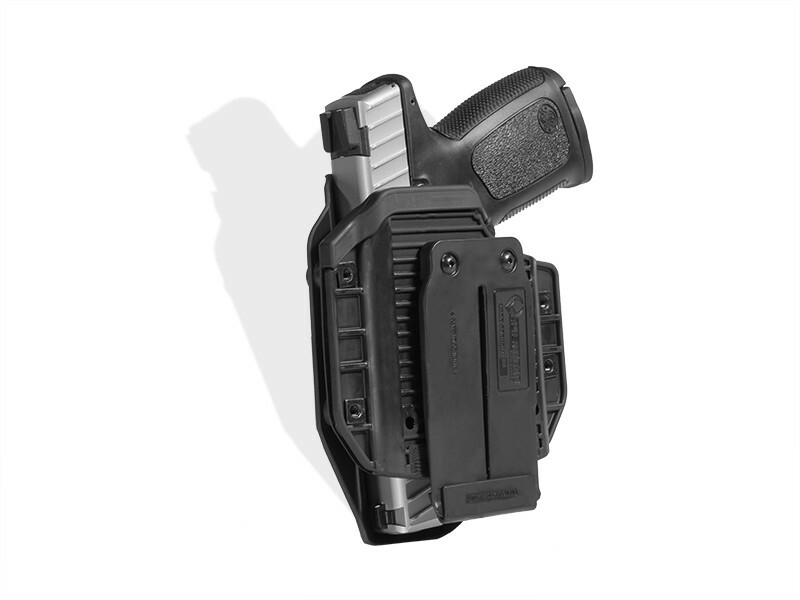 The design of the MOLLE prongs also gives the carrier additional options with how they attach to the holster in several different combinations. This provides a large range of ride height and opportunities for customization when combined with the versatility of PALS webbing. Slide the Cloak Mod MOLLE Holster into any PALS webbing quickly and effortlessly due to the smooth finish of the polymer MOLLE prongs. The polymer is resilient, heat and impact resistant, and will keep a consistent shape after years of use. 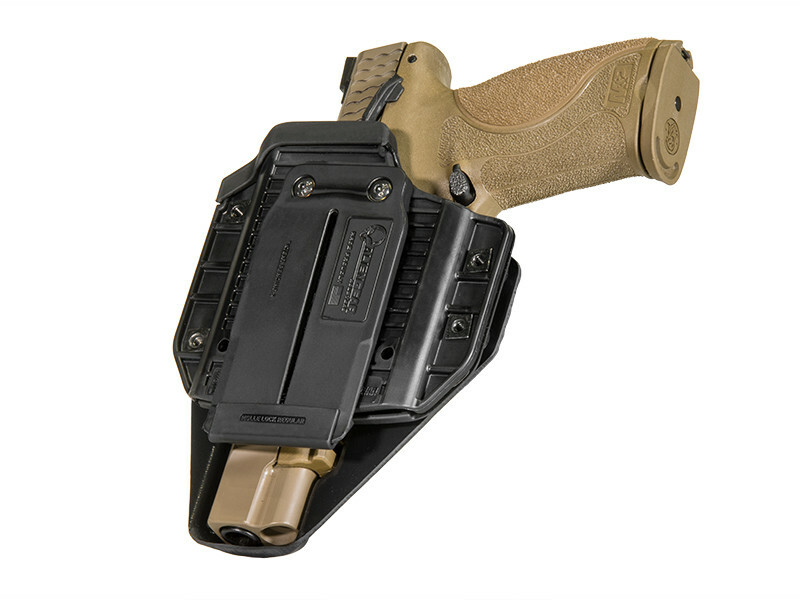 Your firearm is guaranteed to slide into this MOLLE Holster and lock into place with Alien Gear Holster’s unwavering retention. This retention also comes adjustable to fit your exact preference. 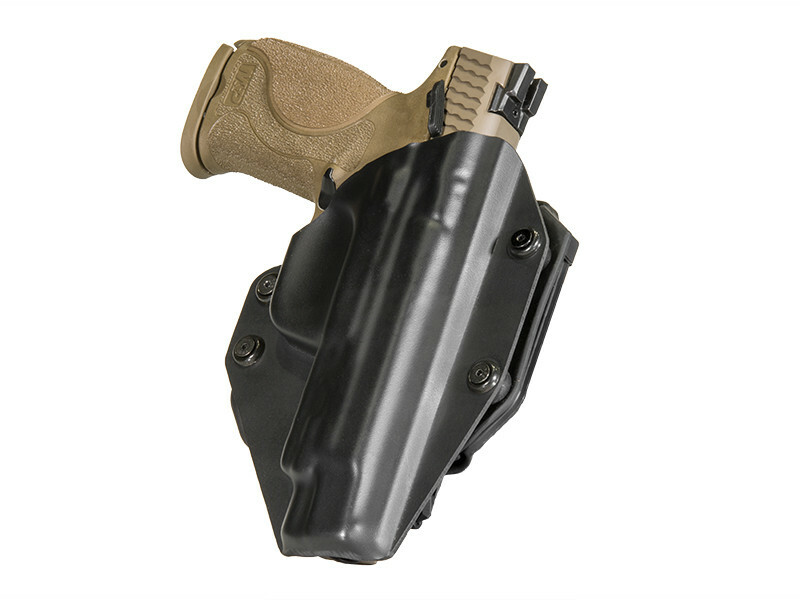 The Cloak Mod MOLLE Holster is a high quality holster, proudly made in America, and designed to last a lifetime. We offer a 30-Day Test Drive to make sure it is a perfect fit, and back our promises with a Forever Warranty.